A 47-year-old man from Togo was stopped and searched at a Swiss airport for trying to bring more than 33 pounds (15 kg) of dead caterpillars into the country. When he was told he would be unable to bring the insects into the country, he bizarrely tried to eat as many as he could. Security staff at EuroAirport Basel-Mulhouse-Frieburg, which is four miles from the Swiss city of Basel, confronted Mr Adrian Onobanjo after the insects were discovered by X-ray. Mr Onobanjo then proceeded to eat the caterpillars that were hidden in compartments of his suitcase, to prove they were harmless. “The man obviously knew he shouldn't have been trying to bring them into the country as they were hidden under a false bottom in his suitcase and only discovered with an X-ray,” Patrick Gantenbein, a border guard spokesman, told the Austrian Times. According to another spokesman the smell was ‘unbearable’, yet Mr Onobanjo did not seem to mind as he chomped through as many as he could. 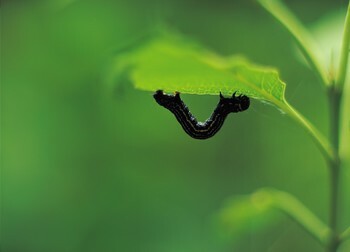 “The smell from the caterpillars that were mostly dead was pretty unbearable but it didn't seem to bother the man – and when he was told they would be kept and destroyed he grabbed as many as he could and started munching them. He said they were a delicacy and should not be wasted,” the spokesman said. The remaining uneaten caterpillars were confiscated and destroyed. While travel insurance won’t able to protect you from bringing prohibited or restricted items into another country, you will have peace of mind if your luggage is lost, stolen or damaged.